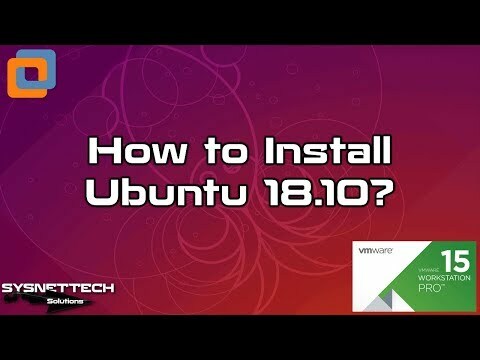 This video shows you steps to install Ubuntu 18.10 (Cosmic Cuttlefish) using VMware Workstation 15 Pro on Windows 10 PC / Laptop. NOTE: After updating the 18.10 beta version, you will have new icons and new interface! Step 1: First, setup VMware on Windows 10 by referring to the following video or article. Step 2: After installing VM Workstation 15, download the ISO file to your computer from the link below. Step 3: After downloading the ISO file to your computer, open VM Workstation 15 Pro and click Create a new machine. Step 4: Create a new VM for setup according to the following criteria. OS: Linux / Ubuntu 64-bit. Step 5: After creating the virtual machine for Linux on VMware, add the downloaded ISO file to the virtual machine and run the virtual machine. Step 6: Watch the entire video to install Ubuntu 18.10 on Windows 10 using VMware. Step 7: After installing Linux and install VMware Tools absolutely! 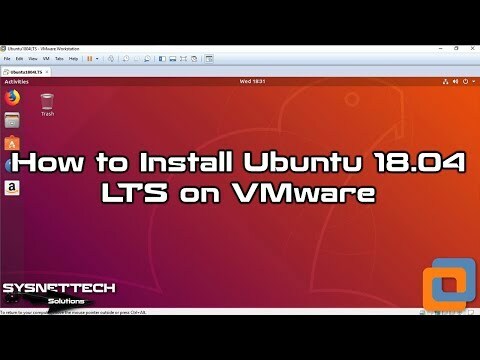 This video shows you how to install Linux based Ubuntu 18.04 LTS (Bionic Beaver) on VM Workstation 14.1.1 Pro virtualization program developed by VMware. Step 1: To install VM Workstation on Windows or Linux, please refer to the following videos. Step 2: After installing VM Workstation, first, download the ISO file from the following link. Step 3: After downloading the ISO file, create a new VM for Ubuntu 64-Bit on VM Workstation. Step 4: Add the downloaded ISO file to the virtual machine. Step 5: Power on the virtual machine. Step 6: Watch the video for the 18.04 setup.